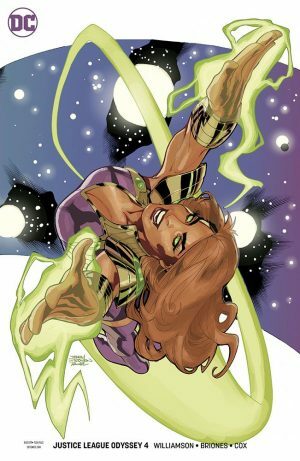 DC Comics Universe and Justice League Odyssey #4 Spoilers follows. 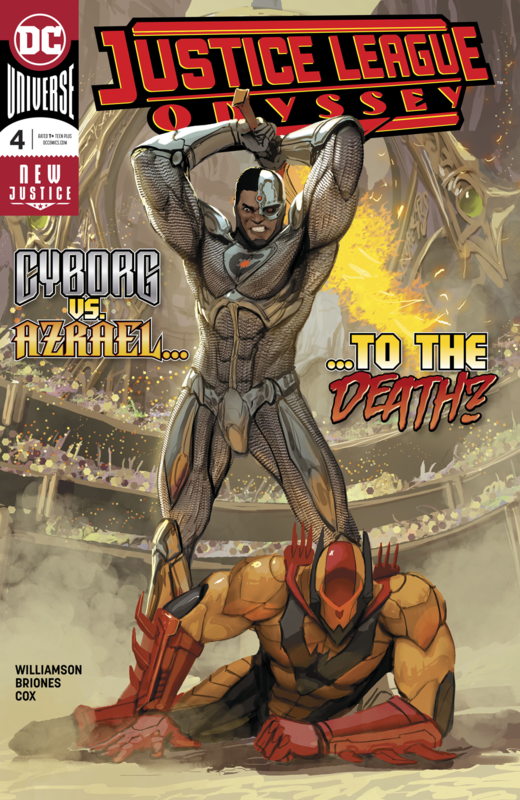 Cyborg Vs. Azrael To The Death As The Old Gods Mystery Around Them, Green Lantern and Starfire Deepens! Plus Darkseid! At press time, the teaser and preview pages yet to be released, but we do have the solicitation and covers. Next stop on the Odyssey-Planet Cyborg! The space-faring Justice League travels to a new world that worships Cyborg, and meets a population that’s obsessed with body modification in preparation for a galactic war. Cyborg and Azrael clash over whether to stop the simmering standoff or continue following the clues left behind by Darkseid. Elsewhere, Starfire and Green Lantern Jessica Cruz infiltrate the society’s upper crust in order to decipher the second language on the codex. So are you intrigued to pick up this book this week?